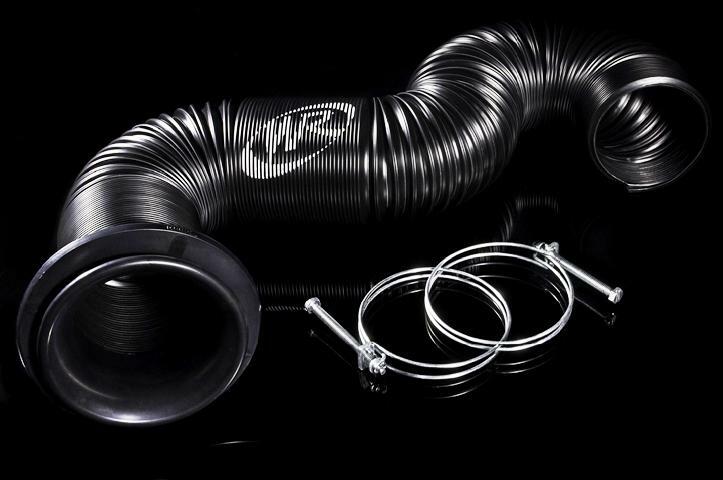 The Weapon-R Ram Air Kit converts any Intake system into a Ram Air Intake. Ram Air Technology is an technique to produce a cold air intake charge into the engine, to get more free Raw Naturally Aspirated HP. The components in the Ram Air kit are all computer designed and made from a high temp fire resistant plastic, to resist heat soak which robs horsepower from your engine. It’s simple to install this unit, you just connect the hose to the top of your Air Filter and mount the velocity stack in the lower part of the grill and attach the hose. The Ram Air kit comes with the Ram Air Velocity Stack, Flexible 3in Hose and Mounting hardware. Replacement Ram Air Adapters are also sold separately. DRAGON AIR INTAKE SYSTEMS will need to purchase an Dragon Intake Ram Air Adapter.